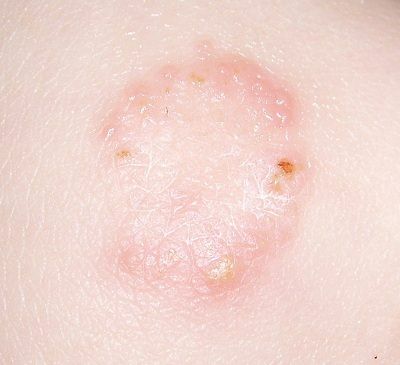 Ringworm, also known as tinea, is a common skin infection that is caused by fungus, and is related to other fungal infections such as ringworm of the scalp, athlete’s foot and jock itch. You’ll know you are experiencing ringworm when you notice scaly, itchy, round red spots on your skin. Ringworm can spread to other parts of the body if left untreated, which makes it more difficult to treat. Luckily, this condition can easily be treated – even at home. Here are some home remedies for ringworm. Tea tree oil is one of the best home remedies for ringworm because of its antifungal and antiseptic qualities. Before you apply tea tree oil topically you have to clean the affected area. Apply tea tree oil on the area affected with ringworm thrice a day for a week or so. Some people have an allergic reaction to tea tree oil at full strength, so you can also dilute tea tree oil in an equal amount of water or carrier oil and then apply it. If the ringworm is in your hands or feet, apple cider vinegar is one of the most powerful home remedy for ringworm you can use. Fungi do not thrive in highly acidic environments. Since vinegar is very acidic, regular application hinders its growth, leading it to eventual death. Dip a cotton swab in apple cider vinegar and apply it on the affected area. As recommended by dermatologists, applying it 3 to 5 times for three days, will give you the best results. Garlic is an amazingly beneficial, antifungal food that has been used for countless health ailments, including ringworm. Simply peel a garlic clove and cut it into slim slices. Place it onto the ringworm, and protect the place with a band-aid overnight. You can also make a thick paste and apply it on the ringworm. Most well-known for managing sun burns, aloe vera is an all natural remedy for ringworm and countless other skin problems. Squeeze the gel out of the aloe plant and place it on the affected area. Leave it on overnight and wash the affected area the next day. Apply it every day till you are cured of your ringworm. If you do not have access to fresh aloe plants, you can also try creams that have aloe. This seasoning actually has some pretty great natural antibiotic qualities. Plus, it soothes the skin and facilitates the healing process. Apply the juice of raw turmeric on the infected parts. You need to apply it 3 times every day until your infection disappears. Further, ingest a teaspoon of turmeric juice and honey mixed together daily. Myrrh is known to help the immune system and act as an anti-fungal agent. You can create a special myrrh paste by mixing equal amounts of myrrh and goldenseal powder in some water, and apply it to the ringworm three times a day.